The 2016 Reds Look A Lot Like the 2009 Reds. And That’s a Good Thing. I know you remember 2010 just as well as I do. The Reds were good. Really good. And it had been a long time since that had happened. Joey Votto won the MVP and Johnny Cueto started to become Johnny Cueto. It was a good year. The year before, 2009, wasn’t as memorable. The Reds were not very good. And they didn’t make the playoffs. But by simple virtue of proximity, the two seasons are related. And, in fact, that 2009 team was good down the stretch. They won 27 of their last 40 games after “starting” the year 51-71. That shouldn’t be surprising. If you haven’t figure this out, the Reds are never going to make a huge splash on the free agent market, and that makes any one season a bit of an arbitrary sample, especially when they’re rebuilding. What really matters is when players get called up or trades happen or guys come off the DL. Those are two very different lineups, but they only represent the players who played the most at a particular position. For the last part of 2009, Stubbs and Gomes and Rolen were playing every day for the Redlegs. So with the exception of Orlando Cabrera, who was added in the offseason, the Reds were already fielding their 2010 lineup, and they played like it. 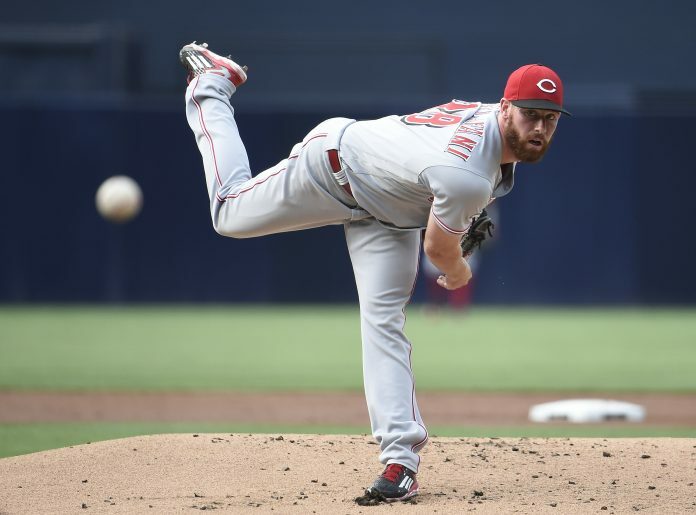 And, with the exception of Mike Leake (who would replace Micah Owings in the 2010 rotation), the starting pitchers were already set and just needed a little seasoning to become the excellent staff that helped send the Reds to the playoffs. At 21-13 since the All-Star Break, the 2016 Reds are entering the same territory as those 2009 Reds. But what kind of obvious changes have occurred in that time? Jay Bruce left, but it’s not as though Scott Schebler has been tearing it up, and no other spot on the field has seen significant change. Some players (Phillips, Votto) have hit better, while others (Duvall, Cozart) have hit worse. But then there’s the pitching staff. The Reds only have two pitchers who have started more than 20 games for them this year: Dan Straily and Brandon Finnegan. They’ve effectively traded Alfredo Simon and John Lamb for Anthony DeSclafani and Homer Bailey. That, my friends, is what we call an upgrade. More changes are certainly coming. I wrote about that a couple of weeks ago and I won’t re-hash it here now, but there are a lot of reasons to be hopeful about this team, and if I were you, I’d start paying attention to their record since the break instead of their record since Opening Day. If they keep this up, a lot of people might find themselves surprised next year.